The action commences when, during a period a drought, a reservoir dries up revealing the remains of a deserted village that had been submerged following the building of a damn after the Second World War. A young boy, making the most of the adventures to be found around the remnants of Hobb's End, stumbles upon a human skeleton buried in the outbuilding of a cottage. 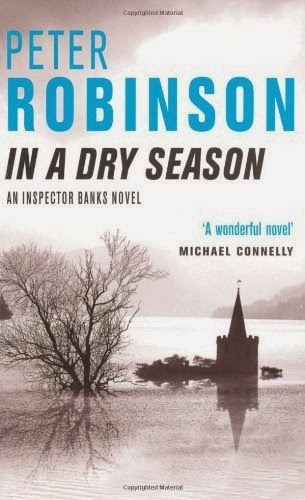 Presumably seeing it as a chance to punish Banks for previous indiscretions and insubordination, Chief Constable 'Jimmy' Riddle, sends him, along with DS Annie Cabbot, to investigate what seems like a rather a dead investigation. What at first seems like a story based on raking over relics of the past in fact becomes more and more alive and encroaches into the present day leading to the rather dramatic conclusion. The novel revolves around two narratives: the first omniscient narrative follows the action of the present day as Banks and Cabbot investigate and get to know each other; the second is the first person narrative of Gwen Shackleton and follows the life of Hobb's End from 1941 to 1945. The interplay between the two narratives works well to keep the momentum of the story pacey and allows the plot to develop numerous potential conclusions. All in all, I would happily read another book in this series should the situation ever arise again. Indeed, the only reason I read this novel was to review whether or not to use it with my A Level Language and Literature class. Generally, the storyline is engaging, although a few strange deviations to include current romances and reminiscences of drug addict neighbours I feel the book could have done without, but possibly make more sense to those who've read more of the series.